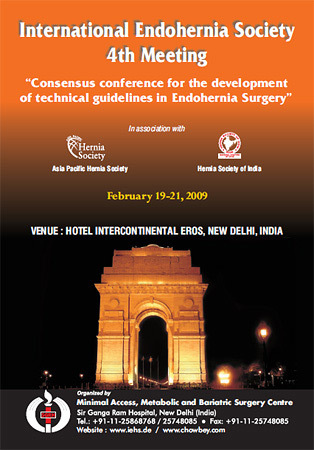 The fourth meeting was organized from the 19th to 21th of February 2009 in New Delhi/India as a “Consensus Conference for the Development of Technical Guidelines in Endohernia Surgery”. The meeting was hosted by Pradeep Chowbey (Executive Vice Chairman – Max Healthcare Chairman – Surgery & Allied Surgical Specialities Chairman – Max Institute of Minimal Access, Metabolic & Bariatric Surgery New Delhi. Founder President-Asia Pacific Hernia Society (APHS)). The conference had been excellent organized by Pradeep Chowbey and his team and took place in a really wonderful atmosphere. The meeting was the origin for the guidelines on treatment of inguinal hernias, which could be published in 2011 in the prestigious Journal Surg Endosc (see publications). 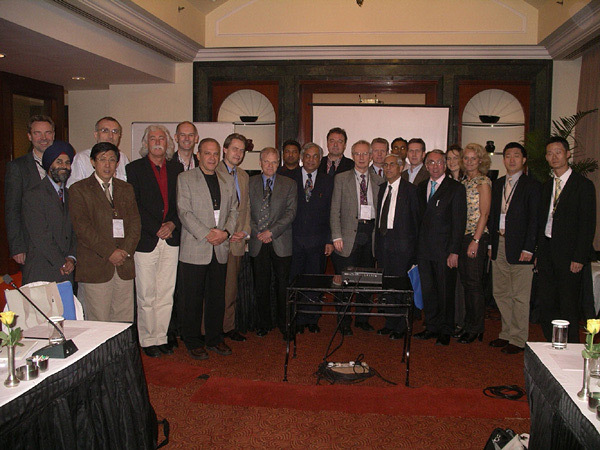 Participants of the “Consensus Conference for the Development of Technical Guidelines in Endohernia Surgery” 2009 in New Delhi. ⇐ 3. Third Meeting of IEHS.